Natural dyeing with fennel | gather and grow. 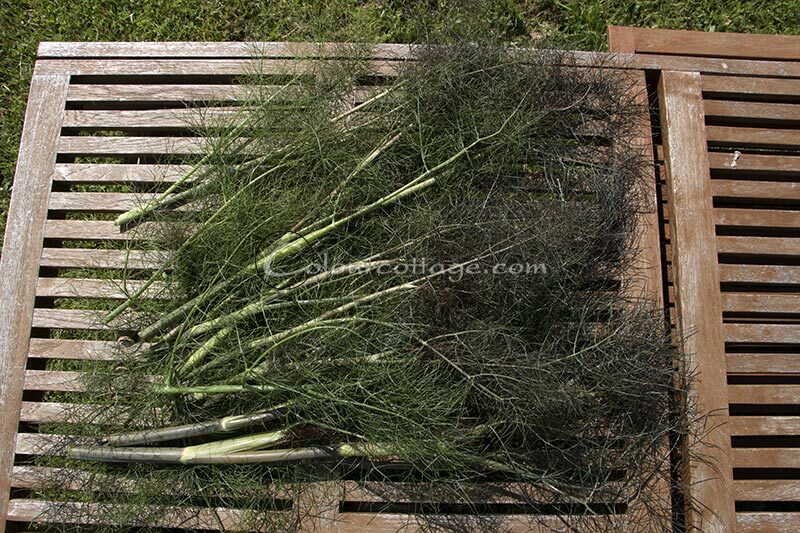 Last year I was inspired to sow bronze fennel, even though I thought I was through with food dyeing. Rita Buchanan also mentions it in her book. This year my plants are really growing, so I decided to give it a go. One wool skein, two silk, all alum mordanted. I simmered the fennel (~800g) alone first, then strained the dyebath because they do take up a lot of space. I then simmered the yarn (100g) a bit before leaving the pot out in the garden for the rest of the day – no additional days were needed because I felt the yarn had taken as much dye as it could. I obviously haven’t tested lightfastness on this, but will make a preliminary report along with all the other yarns later this summer! This year will probably be a slow one regarding plant dye, I don’t have any specific projects that need it, I have so much yarn and fleece already dyed to do stuff with, I’ve tried “all” the plants and I’m focused on learning to weave and paint. So my budget is not really leaning towards white yarns for dyeing. I simply can’t weave that much yellow! 😉 Eventually I hope it all comes together in a cycle, the spinning, dyeing and weaving being all parts of the same process somehow. But I have come to know that I can’t do all the things all the time. And dyeing for no other purpose was beginning to bore me, frankly. It’s more of a production thing than a creative process when you begin to repeat, and that’s not what I thrive on the most. I won’t stop or forget, it’s just a tool in my box now rather than a hobby! It doesn’t mean I’m done experimenting, but my silk solar dyeing plans for instance could very well be postponed to next year, as I navigate my inner path of what feels important. Nice ‘earthy’ looking yellows, warm and inviting. 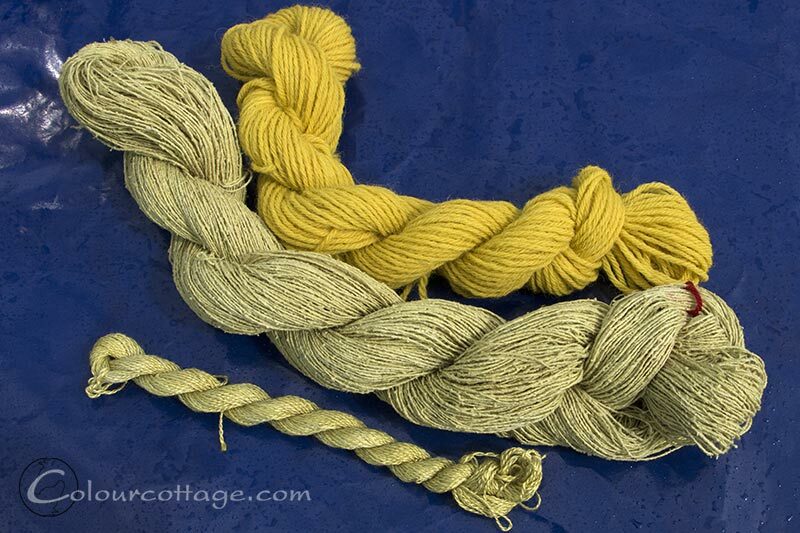 That’s a nice bright yellow at the top and the muted skeins are an interesting color also. I understand what you mean about ‘now just a tool in my box’. Isn’t skillfulness a good feeling!